Dr. Maribel Santos-Cordero, a board-certified special needs pediatric dentist in Sarasota, FL, is now accepting new patients to help them receive the dental care they need. Dr. Santos helps fearful children and children with special healthcare needs avoid dental problems like cavities by offering gentle, calming treatment. "At Dentistry for Children & Adolescents we choose to work with children with special needs because we love to make an investment in their lives." Dr. Maribel Santos-Cordero, a special needs pediatric dentist in Sarasota, FL, is now accepting new special needs pediatric patients with or without a referral. Dr. Santos understands that every child is special in his or her own way. A child with special healthcare needs requires special dental care. Parents of children with special healthcare needs are often met with challenges to provide good oral care at home. Children with special healthcare needs, severe dental anxiety, hypersensitivities or oral aversions may require assistance in keeping good oral hygiene habits and a different approach to dental care in order to meet their needs and circumstances while preventing problems like cavities and gum disease. Other common dental problems in patients with special needs include: delayed or absent teeth, extra teeth, malocclusion, developmental defects, trauma, bruxism, and oral infections. As a board-certified pediatric dentist in Sarasota, FL, Dr. Santos has the knowledge of the medical, physical, mental, and behavioral condition of a child to ensure that their oral health needs can be effectively met. She takes an individualized and systematic approach to the examination and treatment of her patients while making them feel safe and comfortable under her care. Dr. Santos offers medication-free methods to help ease children’s fears. If necessary, she will incorporate sedation dentistry into treatment to provide safe, efficient, and effective dental care. Children who may find it difficult to sit for long periods of time, or those who need special assistance feeling relaxed, can benefit from calming sedation options like nitrous oxide (“laughing gas”), in-office IV sedation with an anesthesiologist and in-hospital general anesthesia. Those interested in learning more about the doctor or have their child see a pediatric dentist to help avoid future problems like cavities and gingivitis can contact Dentistry for Children & Adolescents at 941-907-7762 or http://www.sarasotachildrendentistry.com. Dr. Maribel Santos-Cordero of Dentistry for Children & Adolescents is a board-certified pediatric dentist in Sarasota, FL. Her practice offers comforting and comprehensive dental care for children. Dr. Santos-Cordero is fluent in Spanish and English and has been in practice since 1994. 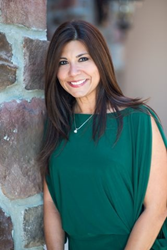 A Diplomate of the American Board of Pediatric Dentistry she is also a Fellow of the American Academy of Pediatric Dentistry, and a member of the American Dental Association and the Academy of Laser Dentistry. A firm believer in giving back to the community, she participates in many volunteer events like the Give Kids a Smile program. She has privileges to practice in-hospital dentistry at John Hopkin’s All Children’s Hospital in St. Petersburg, Florida. To learn more about Dr. Santos-Cordero, her team or the services they offer, visit http://www.sarasotachildrendentistry.com or call Dentistry for Children & Adolescents at 941-907-7762 to schedule a consultation.